Faith No More frontman Mike Patton, who has one of rock’s most versatile voices, said on Monday that he was forming a new metal supergroup with Slayer drummer Dave Lombardo. Patton wrote on Facebook that the supergroup called Dead Cross will release an album next year. The 48-year-old Patton has a vocal range of six octaves — one of the greatest of any living singer, even in opera. 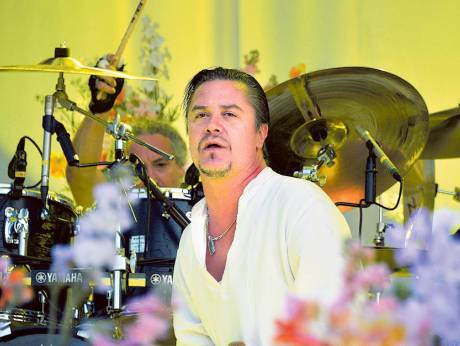 Faith No More, with its hard-edged rock and elements of funk and hip-hop, was at the vanguard of the alternative music boom starting in the late 1980s and returned in 2015 with its first album in nearly two decades. The Cuban-born Lombardo often figures on lists of metal’s top drummers. He is best known for Slayer, a macabre thrash metal band, and has also played with Suicidal Tendencies and Misfits. Lombardo and Patton previously joined forces for another supergroup called Fantomas. They will be joined in Dead Cross by guitarist Michael Crain and bassist and vocalist Justin Pearson, who have both played in Retox, a hard-core punk band from San Diego.